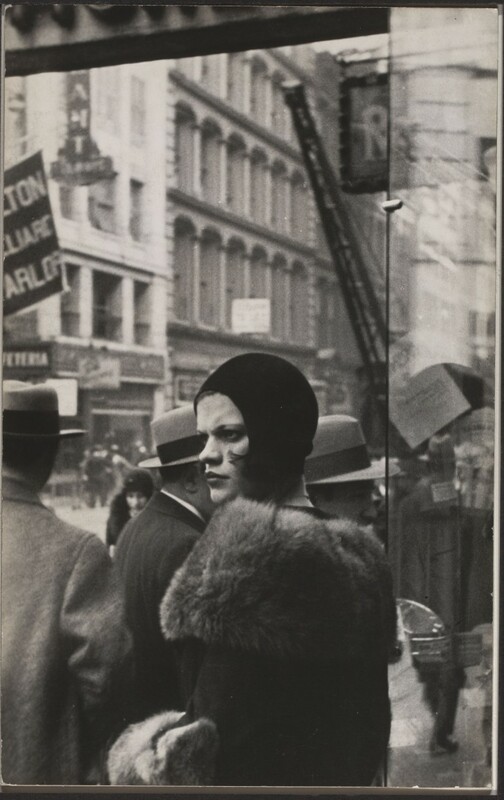 Photographs of the United States by Walker Evans and Henri Cartier-Bresson are brought together in an exhibition opening at the HCB Foundation to mark the centenary of the birth of Henri Cartier-Bresson. Throughout his professional life Cartier-Bresson was a great admirer of Evans, and both photographers were passionate about America. The exhibition celebrates two great twentieth-century masters of photography who held each other in high regard. 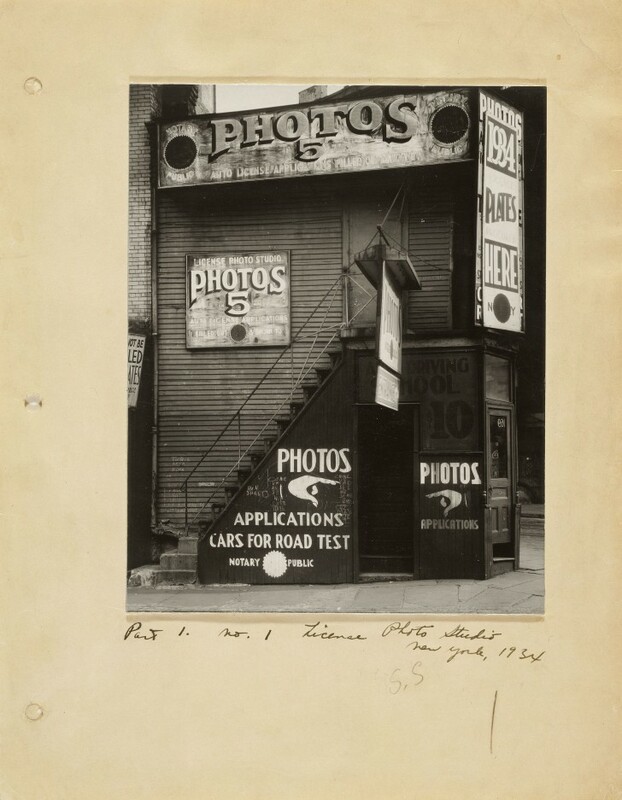 Eighty-six vintage prints are being shown with photographs by Walker Evans being lent by the Getty and MoMA as well as by private collections, while those by Cartier-Bresson, including several hitherto unpublished images, coming from the HCB Foundation’s own holdings. The pictures on show were taken between 1929 and 1947 in urban settings (New York, Washington, Chicago, California) and in the South (Mississippi, Alabama, Louisiana). The catalogue, published by Steidl, includes an introduction by Agnès Sire, the exhibition curator, and an essay by the art critic Jean-François Chevrier. Cartier-Bresson used to say: “America made me”. From as early as the 1930s he was exhibiting his photographs there, with shows at the Julien Levy Gallery in New York (1933 and 1935) and then at the Museum of Modern Art in 1947 (his first exhibition in France did not take place until 1955). He was in New York in 1935 at the time of the “Documentary and Antigraphic” show at Julien Levy’s, when he pictures were shown alongside photographs by Walker Evans and Manuel Alvarez Bravo, and he went back there again from 1946 to 1947, when he was preparing his exhibition at MoMA (initially said to be “posthumous” since MoMA believed he had perished during the war). This was the time that he produced most of his American work: he went on trips with Truman Capote for Harper’s Bazaar, then with John Malcolm Brinnin with a view to putting together a book that never came to fruition. It was then that the sheer immensity and social diversity of the United States were brought home to him. About Cartier-Bresson’s American images Arthur Miller once wrote: “Since his is fundamentally a tragic vision he reacted most feelingly to what in America he saw as related to its decay, its pain..” Walker Evans, meanwhile, was “obsessed with decay and social decline” (Jean-François Chevrier). He was, in his own words, interested in “what any present time will look like in the past”. This was so in his work for the FSA (Farm Security Administration) during the Depression in the 1930s. Many of these pictures are in the exhibition. His book American Photographs had a cult following when it came out in 1938. 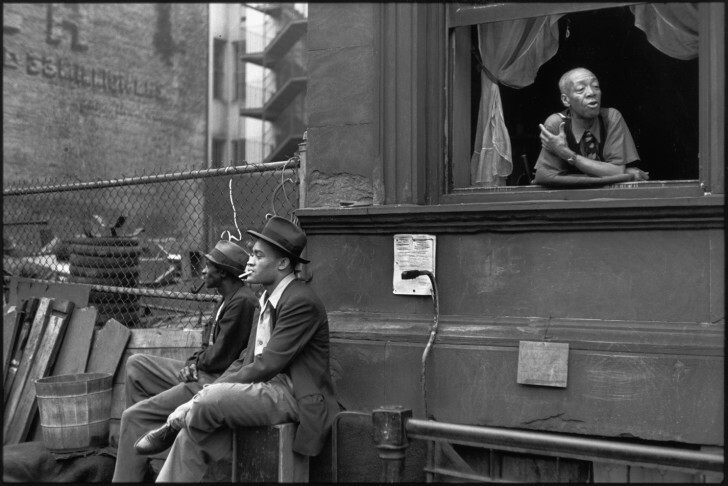 Many of the images that Cartier-Bresson and Evans took in the USA at that time have since become iconic works. “This encounter, on the occasion of the centenary of the birth of Henri Cartier-Bresson, is an opportunity to compare their ways of seeing, but there can be no doubt about the way they shared an acute awareness of the world both near and far, and an insatiable visual delight.” (Agnès Sire).